Need a great way to spend a Saturday afternoon after brunch? A wine class should do the trick. I was thrilled to spend a recent Saturday at Flight Wine Bar, a wine-centric restaurant in Chinatown, located right on 6th and H Streets Northwest. Given that I love wine, I’m shocked and a bit ashamed I hadn’t been there before. I asked my friend Lauren, a wine-o who owns several restaurants and curates their wine lists to join me. We’ve drank a lot of wine together, including in South Africa’s wine regions of Franschhoek and Boschendal, and I’m always looking for a reason to spend time (and drink wine) with her. I selected this particular class because it was covering French wine, and I’ve developed quite an affinity for French wine after spending a few weeks wine tasting in Burgundy, France a few years ago. The one-hour class is reservation-only and takes place on the last Saturday of each month. Your $55 ticket includes the experience, plenty of wine, as well as food pairings. 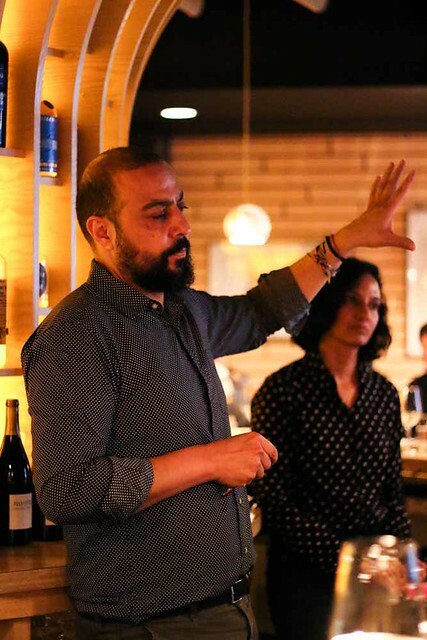 The restaurant’s owners, sommeliers Kabir Amir and Swati Bose, a married duo who know a thing or two about wine, teach the course. They were engaging, interesting, and informative—sharing their knowledge and passion in an easily digestible, unpretentious manner. 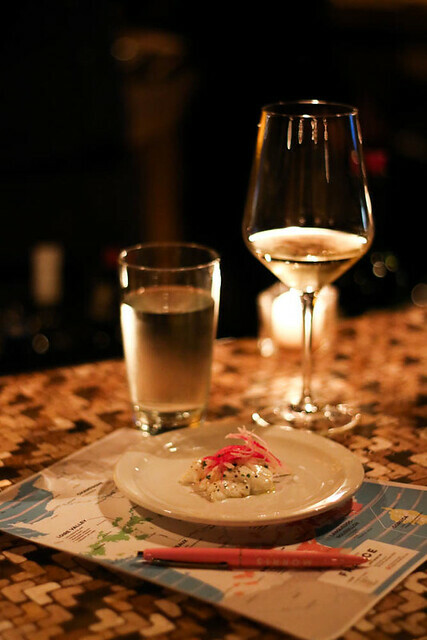 The Chenin Blanc was paired with a creamy, sheep’s milk cheese simila to a burrata. It was the perfect portion—but there were also olives and bread, should you choose. We also tried a Coteaux du Loir , a floral Chenin Blanc that was less familiar to us. We enjoyed this fruity, slightly sweet white, but agreed we’d stick with classic Chenin Blancs. 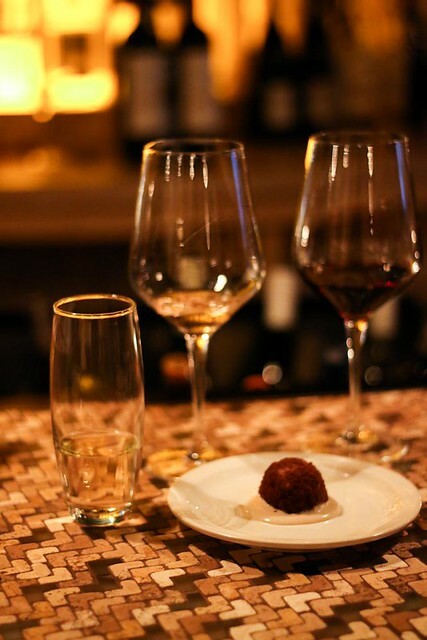 The food pairings at Flight were not to be missed. The Provence rosé was paired with a mushroom risotto ball, filled with fonduta and truffle, and I thought I’d died and gone to heaven. The creamy, flavorful fried rice balls were just incredible. After making our way through the reds, we truly did not want class to end. So, we decided to stay—a third friend joined us and we ordered a wine flight to share, along with more food. 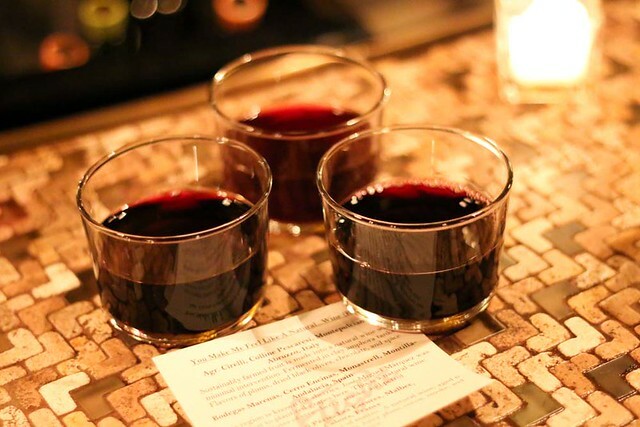 The wine flights are offered at all times—so even if you can’t make a class you can still get the sampling experience. We couldn’t get enough of the food so we shared the burrata, which is available on the dinner menu. 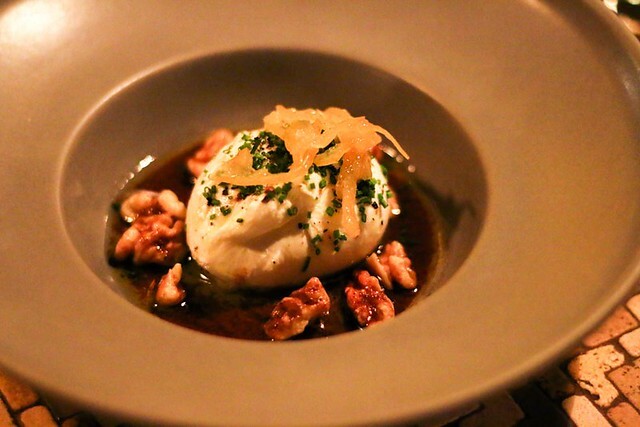 The burrata is served with a a seasonal chutney, chili oil, and walnuts for a salty-sweet combination and some crunch. This dish is easy to share, but you won’t want to. Flight Wine Bar opens at 5 p.m. daily and its hosts its monthly wine classes on the last Saturday of each month. The next classes are on March 31, featuring Spanish wine, and April 28, featuring Italian wines. Tickets are $55 per person, and can be purchased here.